Parking Lot Services :: Independent Services of Virginia Inc. Does your parking lot need a face-lift? Independent Services of Virginia provides a variety of parking lot services to our customers, including parking lot maintenance, milling, paving, sealing and striping. A well-maintained parking lot makes a positive first impression for patrons. Let our experienced and dedicated staff help you maintain your curb appeal. We will take care of resurfacing your parking lot with a fresh new sealcoat. We will make your parking lot look sharp, safe and inviting. 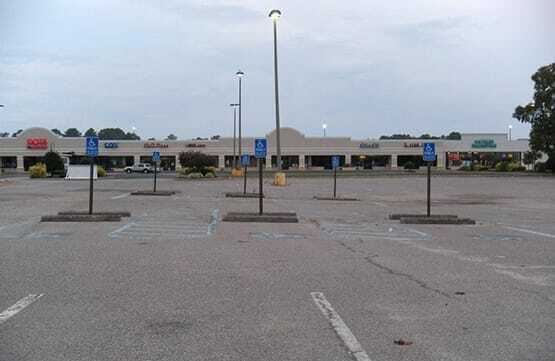 When potential customers see a well-maintained parking lot you have given them a good first impression and it is positive reinforcement for current customers. After we complete the job, we make sure your premises are clean and free of debris. We can do a regular monthly maintenance schedule to keep it clean and safe year-round. When people see that your parking lot is user-friendly, they know that you care about your business and your customers. Driving through a bumpy lot full of potholes and trying to park between faint lines is frustrating for potential customers and puts them on guard. This gives people the idea that no one is paying attention to the outside of your business. Poor maintenance leads to questionable characters hanging around your parking lot. When a parking lot looks unsafe, potential customers will go elsewhere. Finding a convenient parking lot in near a business or a venue is difficult. When possible, patrons are more likely to stop at a business with a paved lot than park at a metered space. Bright white or yellow lines clearly marked in your lot make it safer, easier to use and more attractive to passersby. We have the proper equipment and personnel to transform any parking lot with lumps, bumps and potholes into a safe, inviting and convenient place to stop and park. Our parking lot milling and paving team can put down a new pavement surface on your parking lot and make it even and smooth. 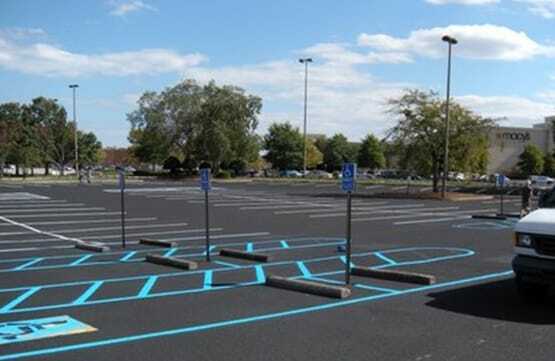 Our parking lot sealing and striping team can give a parking lot a protective coating and a line pattern. We make sure the stripes are straight and even, with handicap and no parking lanes clearly marked.